Sit backward on the raft. 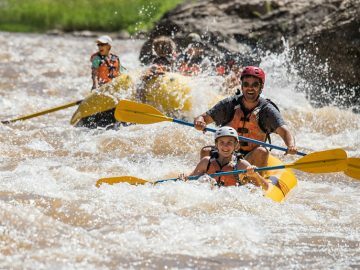 Every once in a while, forego participating in the action of a mild series of rapids, and sit facing backward on an oar boat. I’ve found this to be the ideal location to catch great shots of the raft or ducky directly behind me. Give the camera to the kids. It’s not the expensive model, remember? Some of my favorite photos of myself have been taken by little kids. Are they the best shots ever? No, but at least I’m in them! Get into the water. Try taking some shots from water-level perspective. Standing in the water with the camera at the waterline, capture your kids’ heads emerging from a jump into the river, or the splash after a cannonball. Don’t forget video mode. Take plenty of video in addition to still shots. This way, you can stop trying to get that perfect action shot, and simply look through your video footage later for the right frame. Alternatively, bring an action camera or Go Pro and mount it on your helmet (or your kid’s). Get above the action. 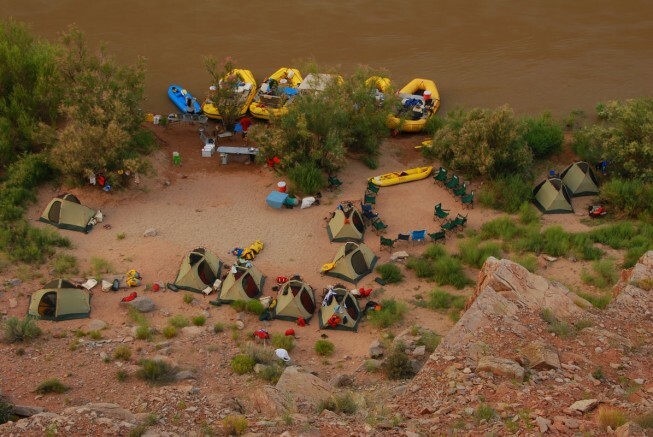 Some of my favorite rafting photos are taken from above, with the river or camp spread out below. These photos do a great job of showing scale (and always wow your friends at home). 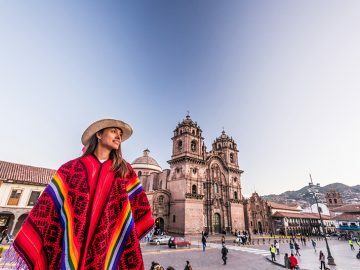 Have the camera ready at sunrise and sunset. 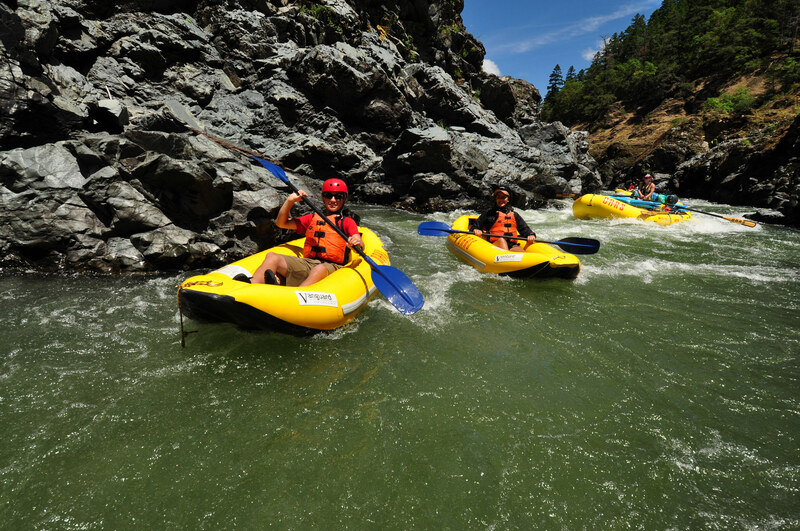 The mid-day sun can be brutal on the water, making rafting shots difficult to time. 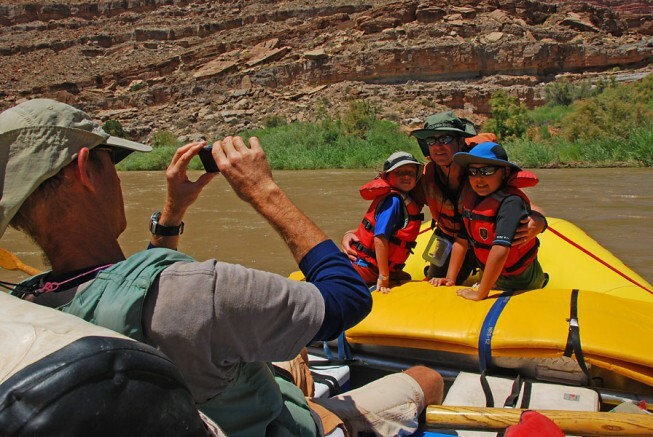 Walk down to the water at sunrise or sunset for the best still shots of rafts and river. Don’t forget about camp photos. You definitely want to capture camp life. 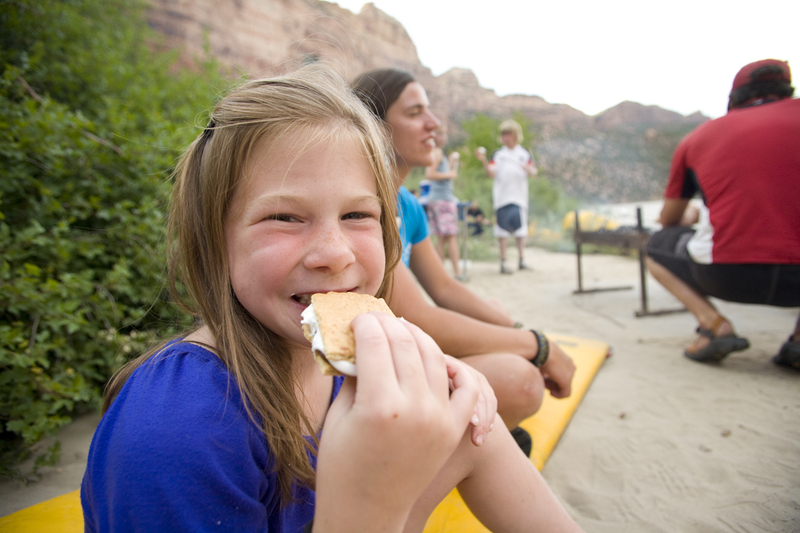 Some of our favorite whitewater rafting photos were taken around the campfire, eating a meal, or setting up our tent. 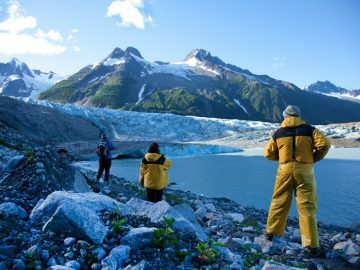 A point-and-shoot camera is easy to stash in a pant pocket to have at the ready. Snapping photos of those endless card games after dinner or those sunset watches on the sandy river shore will remind you later why you felt so relaxed on the river! Need a camera recommendation? We love our Sony Cyber Shot. It’s been everywhere with us from the Rogue River to Alaska to Mexico to Wyoming, taking a beating the whole way! Lastly, don’t forget to snap photos with your rafting guides, with permission. You’ll want to remember these friendly, energetic people who made your trip the success it was!